William E. Brown was born in West Bridgewater, Mass. in 1895 and lived in Lowell before enlisting in the Regular Army in 1913 when he was 19 years old. After several short-term postings, he found himself South on the Border with the 17th Cavalry Regiment at Fort Bliss in El Paso, Texas. The 17th Cavalry was among the Regular Army forces assigned to protect the Border region against incursion by Mexican guerillas from 1916-1918. By the end of June, 1916 both the 17th Cavalry and the 2nd Massachusetts Brigade were serving in the El Paso area, with the 17th Cavalry stationed at Fort Bliss and the Massachusetts troops posted at Camp Cotton. 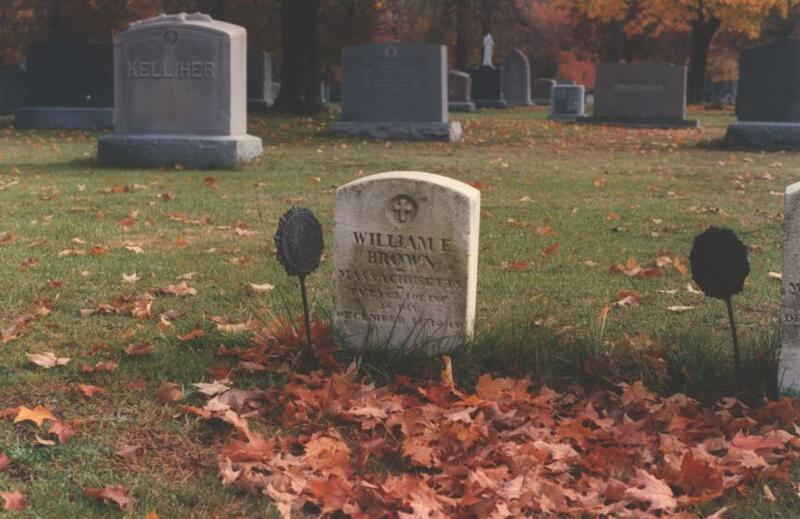 William Brown was among the experienced “Regulars” that Sam Avery and other Massachusetts National Guardsmen looked up to as they began their service in an active war zone. After War was declared by Congress in April of 1917, William had enough of patrolling the Rio Grande and was looking for something more exciting. He was transferred to a Machine Gun Company in the 16th Infantry Regiment, which was one of the 4 original Regular Army infantry regiments used to form the 1st Infantry Division (“Big Red One”) in early June, 1917 at Fort Jay on Governor’s Island in New York harbor. The first units sailed from New York City and Hoboken, NJ on June 14, 1917. The entire division shipped out piecemeal throughout the remainder of the year, landing at St. Nazaire, France and Liverpool, England before continuing on to Le Havre, France. The 16th Infantry became the first AEF combat unit to engage the German Army in battle and was also the first to experience combat casualties in late October, 1917. 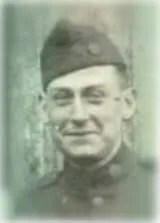 William fought in the Battle of Cantigny during May, 1918 which was the first major offensive action of the AEF and cost the 16th Infantry some 372 casualties. William was first wounded with a shot through the hand on 5/31/18, but refused evacuation and stayed on the line with the remainder of his company which had been greatly reduced by casualties. Sometime between May-July 1918, William was transferred to the 101st Infantry Regiment of the 26th “Yankee” Division. As part of the 101st Infantry, William participated in the Champagne-Marne Defensive, Aisne-Marne Offensive, St. Mihiel Offensive and Meuse-Argonne Offensive. He was seriously wounded for a second time by shrapnel to his head, chest and back in the last days of the Meuse-Argonne operation. Records vary on dating the occurrence of William’s second, very serious wounding to either 10/28/18 or just 1/2 hour before the Armistice took effect on 11/11/18. 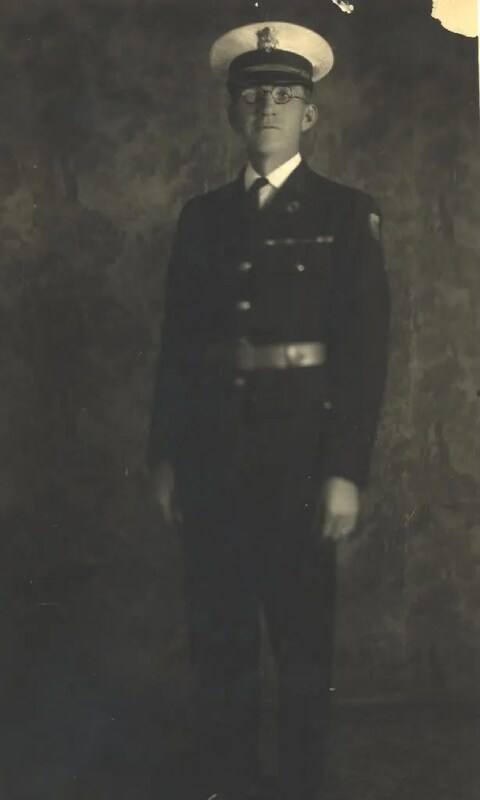 Due to the extent of his combat injuries from both direct enemy fire and also being gassed, William returned home a “casual” and remained hospitalized for a year following the war. 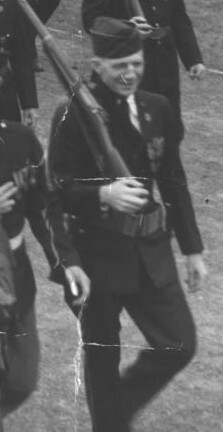 William served with distinction under fire, or as Sam Avery would say “gave a good account of himself”: He received two wound chevrons (later superceded by the Purple Heart with Oak Leaf Cluster), the Croix de Guerre and a recommendation for the Distinguished Service Cross. William later married and made his residence in Brockton, Mass. where he remained active in the American Legion until the time of his death. He died prematurely at the age of 45 in 1940 from complications due to his battle wounds, and was buried with military honors in the World War I Veteran’s Section of Calvary Cemetery in Brockton. Read the postcard home from Somewhere in France on October, 1917 here. Read the reply to Bill’s mother from the Red Cross in July, 1918 here. Read Bill Brown’s letter home in September, 1918 here.